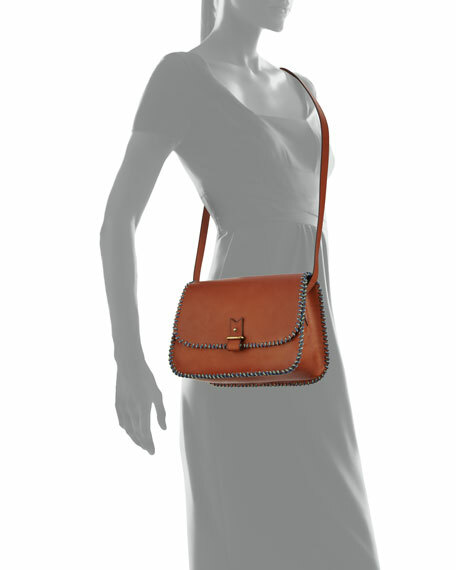 laContrie calf leather crossbody bag with contrast nylon whipstitching. 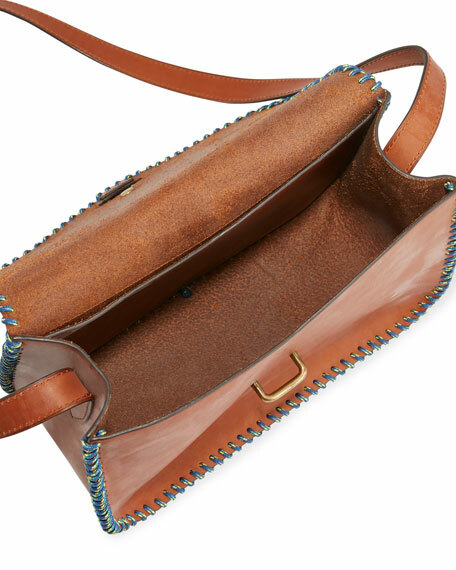 Flat shoulder strap, 19" drop. 8"H x 10.3"W x 4.3"D; weighs 1 lb. "Rohan" is made in France. For in-store inquiries, use sku #2004020. Saint Laurent camera-style shoulder bag in chevron-quilted calf leather. Adjustable shoulder strap with hanging tassel. Zip-around top closure. 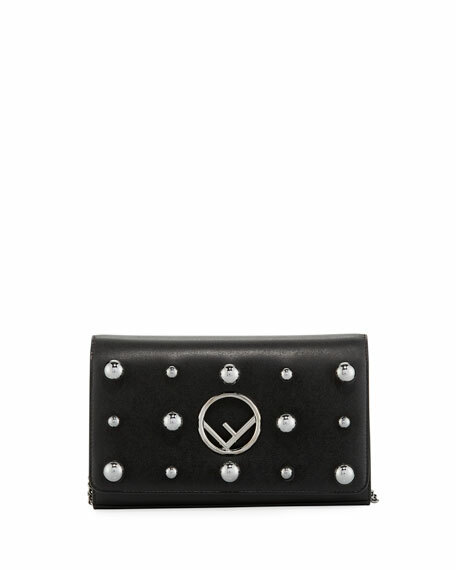 Signature interlocking YSL at front. Interior features pockets. 6.3"H x 9.1"W x 2.4"D. "Lou" is made in Italy.